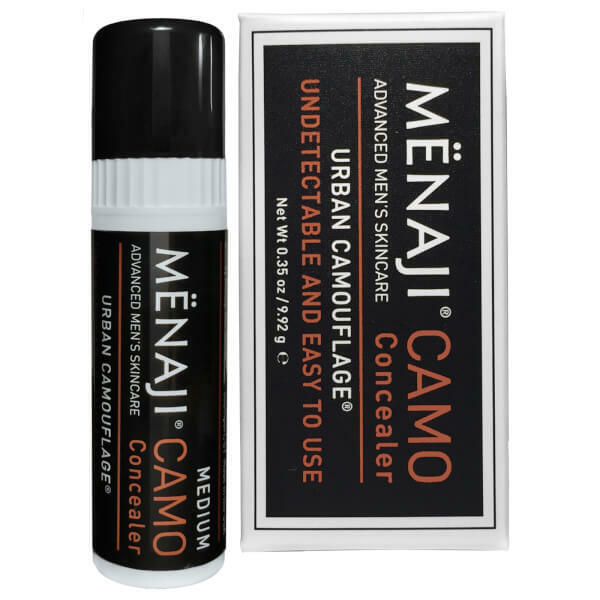 Reveal perfectly even skin with the Menaji CAMO Concealer for men. Designed to work with the higher oil production, larger pores and facial hair that come with male skin, the concealer smooths on easily to disguise dark circles, blemishes and razor bumps without feeling heavy or uncomfortable. Suitable for use on acne and irritated skin, the concealer comes packaged in a tube for convenient application on the go. Expect undetectable coverage and a seamless finish. Grape Seed, Beeswax, Castor Seed Oil, Silica, Pink Grapefruit Essential Oil Tomato Leaf Natural Flavour, Natural Vitamin E, Bergamot Fruit Oil, Titanium Dioxide, Iron Oxides, Mica.